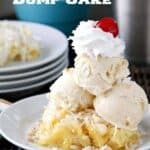 Piña Colada Dump Cake, an easy piña colada cake recipe and fun twist on the pineapple, coconut, and rum cocktail! 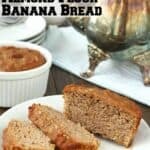 This easy pineapple dump cake recipe doesn’t have many ingredients and ready in no time! 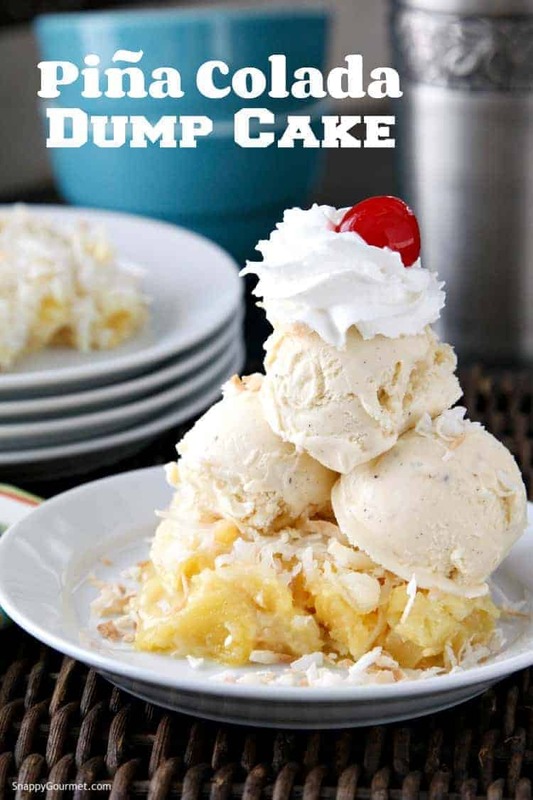 An easy Piña Colada Dump Cake recipe for you today! 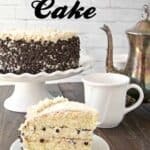 This piña colada cake is a fun twist on the cocktail. Only 5 ingredients to make this homemade dessert and it only takes about 10 minutes to prep. You can get it in the ovenly quickly! 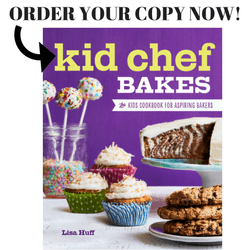 Serve it with some ice cream, whip cream, and a cherry on top for a fun party dessert! 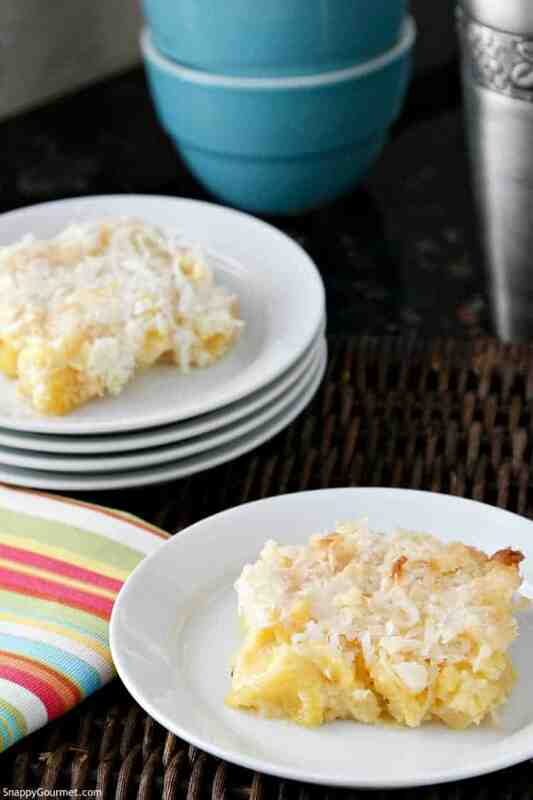 Hard to believe this Piña Colada Dump Cake only has 5 ingredients. The best part of this piña colada cake is that you don’t even need a mixing bowl. So not much clean up needed which is my kind of recipe! 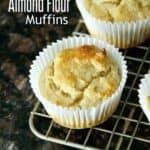 If you’re looking for more easy dump cake recipes, I also have a great recipe for a Caramel Apple Dump Cake, Chocolate Dump Cake, and Cherry Dump Cake if you are looking for other variations. 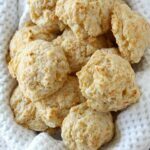 Between that one, and this easy pineapple dump cake, I’m sure you’ll find one as the best dump cake ever! If you’re wondering first what is a dump cake, here’s a quick explanation. A dump cake generally has fruit on the bottom, followed by a dry cake mix, and melted butter or butter cubes on top then baked in the oven. There are many variations though, and some may not even contain fruit but maybe chocolate. This pineapple apple dump cake with cake mix is somewhat traditional in that it has fruit, cake mix, and butter, but I added a little coconut and rum as well. How to Make a Dump Cake? 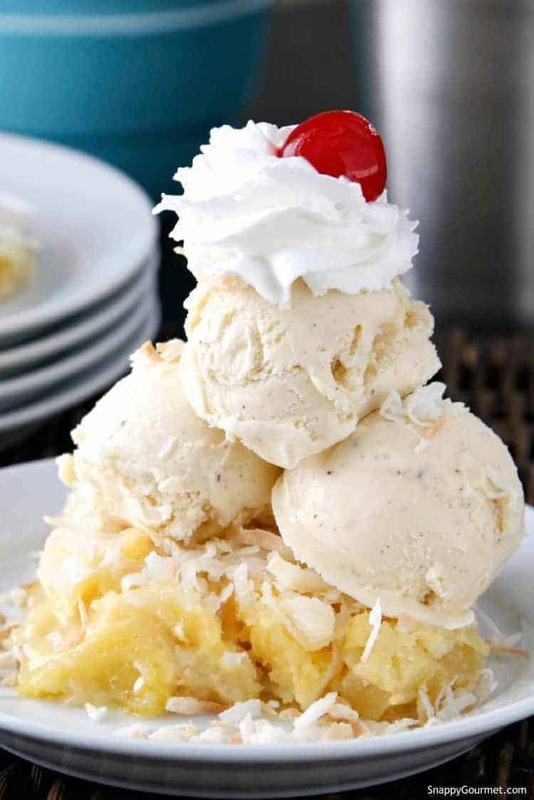 Let’s get started on how to make a Piña Colada Dump Cake. You will need a 13×9-inch baking dish to start. Then add half of the butter and place in the preheated oven to melt. When the butter has melted, add the rum and pineapple and toss to coat. If you don’t want to use the rum, you could use pineapple juice. Or if you use canned pineapple just use the liquid from the can. Don’t worry if the frozen pineapple causes the butter to freeze a little. Just make sure everything is mixed together. 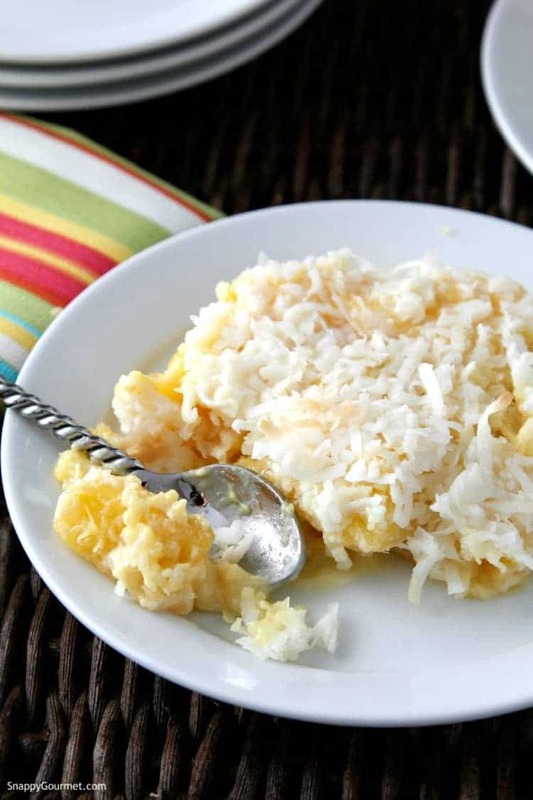 Spoon the dry cake mix over the pineapple, then sprinkle the coconut on top. Cut the remaining butter into cubes and place on top of the coconut. Bake the pineapple dump cake in the middle of your oven for 45-60 minutes or until the coconut starts to get golden brown. Be sure to check the Piña Colada Dump Cake every now and then in the oven just to make sure the coconut doesn’t burn. If the coconut starts to get too dark, you can cover the top with aluminum foil and continue baking. You can serve the dump cake warm, or let it cool and refrigerate until ready to serve. It may appear mushy when you take it out of the oven but it will harden as it cools. The dump cake won’t have the consistency of a cake, but more of a cobbler or crisp. You can serve with your favorite toppings such as vanilla ice cream (I used French Vanilla), toasted coconut, whip cream, and cherries. Pineapple, coconut, and rum, YUM! 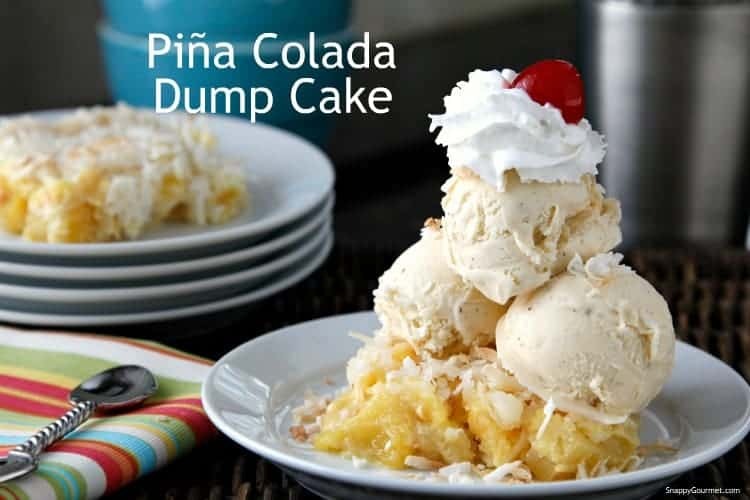 Hope you enjoy this fun Piña Colada Dump Cake! 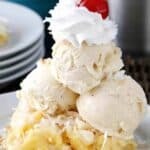 Piña Colada Dump Cake, fun twist on the cocktail and an easy piña colada cake recipe with only 5 ingredients! 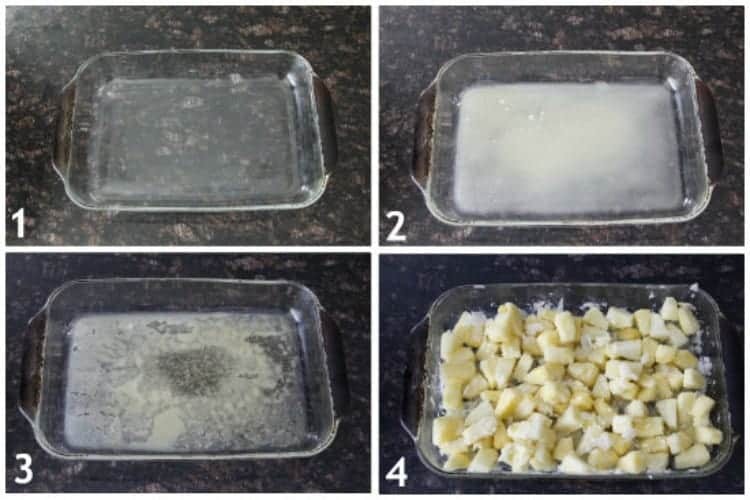 Place 1/2 cup (1 stick) butter in a 13x9-inch baking dish and place in the oven about 3-5 minutes or until butter has melted. When butter has melted, remove pan from the oven. Stir in rum, then frozen pineapple (don't worry if butter starts to freeze a little when in contact with the pineapple; just make sure everything is well mixed). Spoon the dry cake mix from the box evenly over pineapple. Sprinkle coconut on top. Cut remaining 1/2 cup (1 stick) of butter into small cubes and place cubes of butter over cake mix. 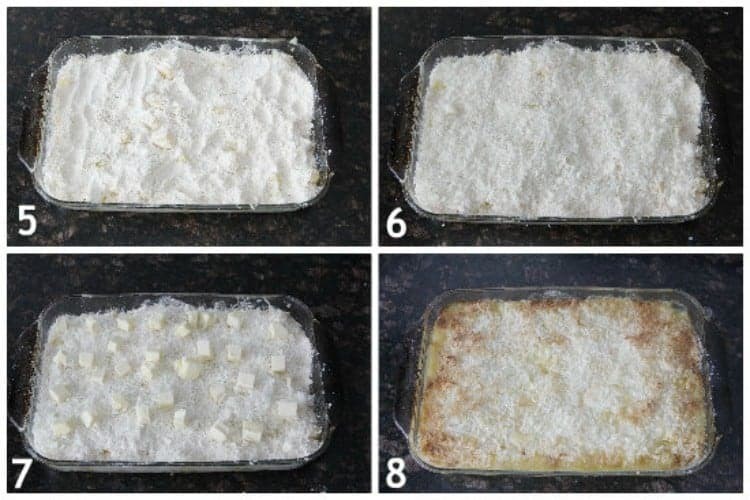 Bake dump cake for 45-60 minutes in the middle of the oven or until cooked through and coconut is toasted. Check cake every now and then to make sure coconut does not burn. if coconut starts to get too toasted, cover with aluminum foil. Dessert will firm up more as it cools. Serve warm or cold. Refrigerate leftovers or until ready to serve. Top with desired toppings as desired. SNAPPY TIPS: The dessert may look a little soft when removed from the oven. It will harden a bit as it cools. Be sure to check the cake in the oven occasionally to make sure coconut does not burn. SNAPPY SUBSTITUTIONS: Instead of frozen pineapple you can substitute canned pineapple (drained) or fresh pineapple. Instead of rum you can substitute pineapple juice. Looking for other Piña Colada Recipes? 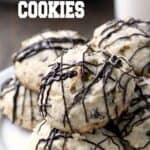 You may also enjoy my White Chocolate Drizzled Pina Colada Cookies. These Mini Pina Colada Cupcakes (This Silly Girl’s Life), Pina Colada Pancakes (Maebells), and Strawberry Pina Colada Smoothie (Natural Chow) also look delicious don’t you think? Can this be made in. Bundt pan? I would not recommend a bundt pan for this cake. You could, however, use two smaller round or square pans.